Last year, saw Mitsuko Uchida playing last three Beethoven piano sonatas in Perth. On the whole, I prefer to hear chamber music in a recorded medium - live performances add little to the musical experience. 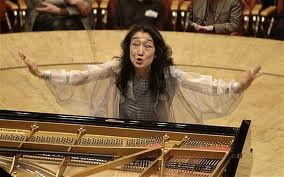 An exception is this revered Japanese pianist. She seems to be completely untamed - see photo - and her presence in the flesh certainly adds to the experience. She has frequently conducted Mozart piano concertos from the piano but never does that for Beethoven concertos. In a radio interview this afternoon she was asked why that was so. I thought her answer was very informative. She sees Mozart concertos as a collaboration between the pianist and the orchestra whereas Beethoven's are a battle between the two and she can't be on both sides at once ie playing the piano and conducting the orchestra. As a matter of fact, I find Mozart a bore and Beethoven a colossus. 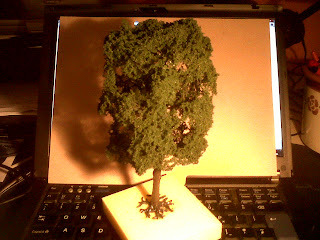 Here is a picture of a tree.